SEOUL, Dec. 14 (Yonhap) -- The following is a summary of inter-Korean news this week. SEOUL, Dec. 7 (Yonhap) -- The issue of a possible visit to Seoul by North Korean leader Kim Jong-un was not discussed at a meeting between the chief liaison officers of South and North Korea on Friday, the unification ministry said. South and North Korea held the meeting between Vice Unification Minister Chun Hae-sung and Jon Chong-su, vice chairman of the North's Committee for the Peaceful Reunification of the Country, amid rampant speculation and rumors that Kim may soon visit Seoul. 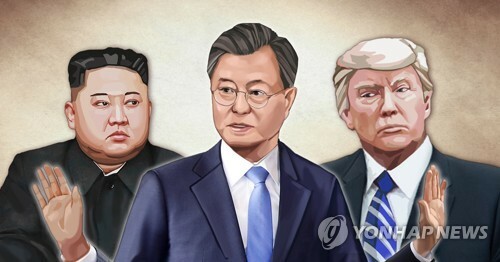 Some media reports have even speculated that Kim plans to make a three-day visit next week, and South Korean officials are busy making secret preparations to welcome the North's leader, with the top focus on ensuring his safety and security. 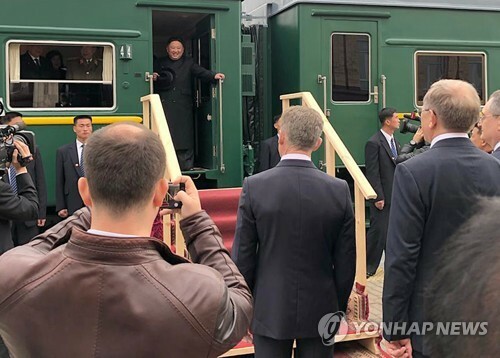 SEOUL, Dec. 8 (Yonhap) -- A group of South Korean officials and experts traveled to North Korea on Saturday for a 10-day probe of the North's eastern rail system as part of efforts to connect railways along the divided peninsula. 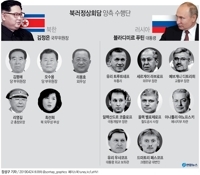 The 28-member team crossed into the North by bus via the eastern land route across the heavily armed border between the two Koreas, according to the unification ministry. They will carry out a joint inspection until Dec. 17 with North Koreans of the 800-kilometer east coast Donghae railway from Mount Kumgang near the border with South Korea to the Tumen River at the northeastern tip of the country. SEOUL, Dec. 9 (Yonhap) -- There appear to be no signs of progress in regard to a possible visit by North Korean leader Kim Jong-un to Seoul following the Moon Jae-in government's official invitation, the presidential office said Sunday. 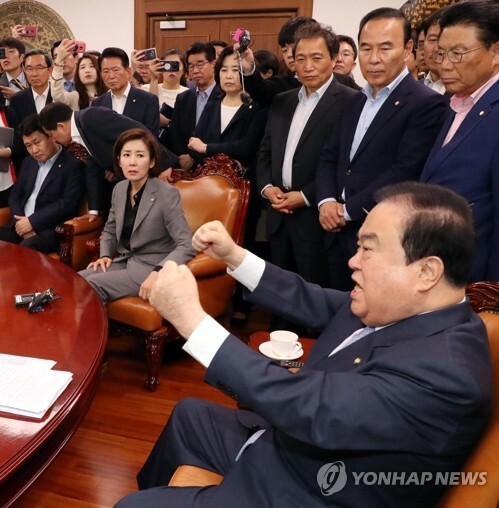 "No headway has been made so far, and there is nothing to announce," Yoon Young-chan, Cheong Wa Dae's top press secretary, said in a message to reporters. Speculation is rising in South Korea amid a slew of media reports claiming that Kim could be planning to make a three-day visit to Seoul this week and that South Korean officials are busy making secret preparations. SEOUL, Dec. 10 (Yonhap) -- A group of South Korean officials and experts embarked on a trip to North Korea on Monday for talks on forestry cooperation. 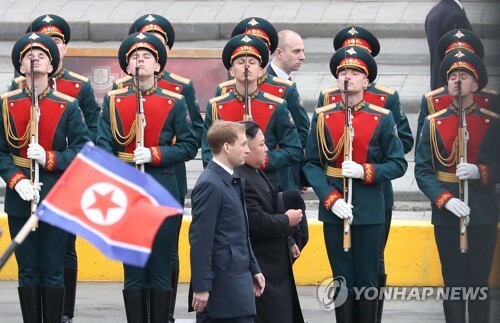 A 10-member team led by Lim Sang-seop, a senior official with the Korea Forestry Service, left for Beijing early in the day from which it will fly to the North on Tuesday for a three-day stay in Pyongyang. The trip is part of efforts to implement an agreement reached in October to jointly combat pine tree pests and other forestry diseases until March next year, the ministry said. SEOUL, Dec. 10 (Yonhap) -- South Korea's budget allocated for cooperation projects with North Korea next year exceeded 1 trillion won (US$890.7 million) for first time in three years amid a thaw in relations, the unification ministry said Monday. 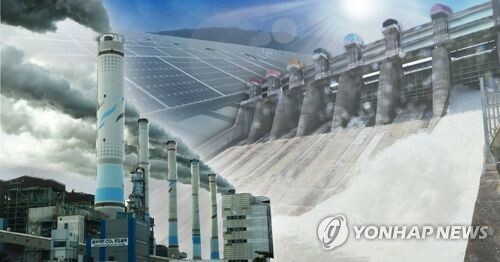 A total of 1.1 trillion won has been set aside for the inter-Korean cooperation fund for next year, which takes up the bulk of the unification ministry's budget, according to the ministry. The budget is 15 percent larger than the previous year's 959.3 billion won. The ministry said it is the first time for the fund, which was set up in 1991 to facilitate inter-Korean exchanges and economic cooperation, to be above 1 trillion won since 2016. SEOUL, Dec. 11 (Yonhap) -- The Cabinet on Tuesday approved a proposal to make it mandatory for the government to go through a Cabinet review before restricting or terminating on-going cooperation projects with North Korea. The proposed revision of the Inter-Korean Exchange and Cooperation Act came after criticism of the lack of legal grounds for the government's past decisions to restrict or ban inter-Korean exchanges, such as the closure of the inter-Korean factory park in the North's border city of Kaesong. The unification ministry plans to submit the revision proposal to the National Assembly for approval. SEOUL, Dec. 12 (Yonhap) -- The presidential office Cheong Wa Dae thinks it would be difficult for North Korean leader Kim Jong-un to visit Seoul this year, a presidential official said Wednesday. There was speculation that the North's leader might make his first trip to Seoul before the end of the year, with Cheong Wa Dae saying that it plans to prepare for a potential visit, though nothing has been decided. "We judge that it would be difficult for Chairman Kim to visit Seoul this year," a presidential official said. SEOUL, Dec. 12 (Yonhap) -- South Korea is talking to the United States about a possible sanctions exemption for video reunions Seoul hopes to hold with North Korea for families separated by the 1950-53 Korean War, the head of the South's Red Cross said Wednesday. Speaking at a peace forum in Seoul, Park Kyung-seo also said that he expects the issue will be resolved when the U.S. point man on Pyongyang, Stephen Biegun, visits Seoul later this month for a meeting of the bilateral joint working group on North Korea. 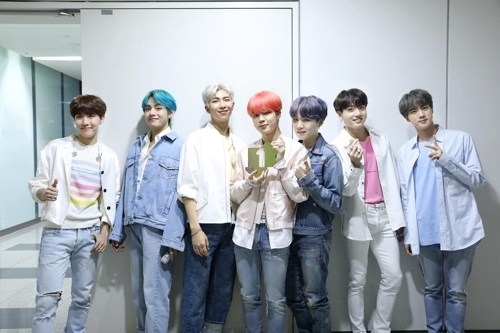 Park also said the South and the North are in the final stage of coordinating the video reunions. SEOUL, Dec. 12 (Yonhap) -- South and North Korea carried out a one-day process Wednesday to verify their recent work to withdraw some guard posts in the Demilitarized Zone (DMZ), in another show of their will for cross-border reconciliation. Seoul and Pyongyang initially agreed to demolish 11 guard posts each in the DMZ but decided later to keep one apiece, albeit unarmed, in light of their historical value. 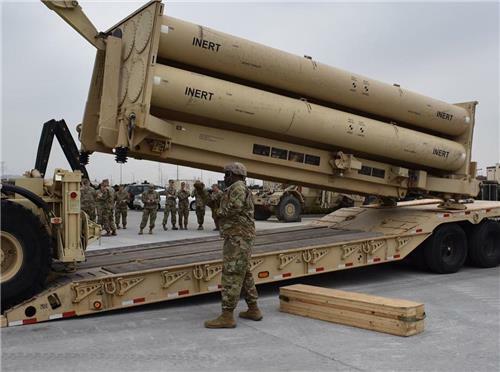 The pullout is part of a broader accord aimed at reducing military tensions, preventing accidental clashes and building trust. SEOUL, Dec. 13 (Yonhap) -- South and North Korea agreed Thursday to hold a groundbreaking ceremony later this month for their project to modernize North Korean railways and roads, and connect them to those in the South, the unification ministry said. The ceremony will be held at the North's Panmun Station, just north of the inter-Korean border, on Dec. 26, the ministry said, announcing the results of a working-level meeting between the two Koreas that took place at their liaison office in the North's border town of Kaesong earlier in the day. SEOUL, Dec. 14 (Yonhap) -- South and North Korea discussed cooperation in combating forest diseases and modernizing tree nurseries in the North when a group of South Korean officials visited Pyongyang earlier this week, the unification ministry said Friday. 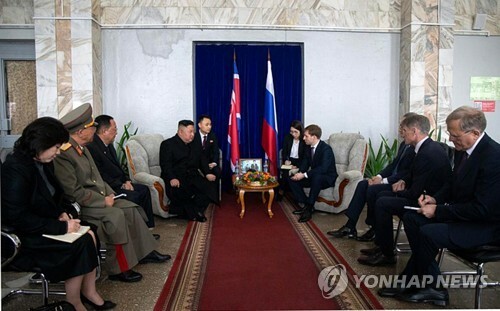 The meeting was held between Lim Sang-seop, a senior official of the Korea Forestry Service, and his North Korean counterpart, Jang Yong-chol, according to the ministry. Lim headed a 10-member South Korean delegation to the North for a three-day trip that began Tuesday.